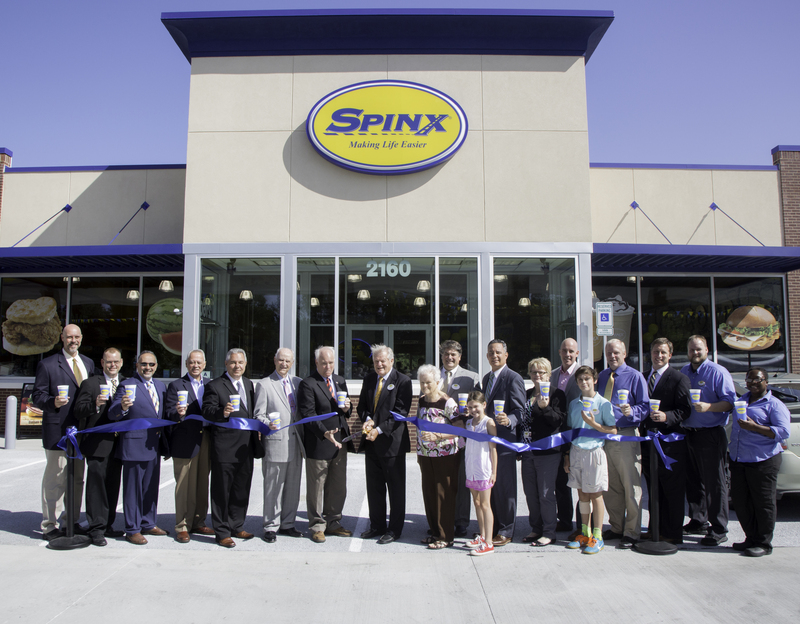 Spinx recently hosted the Grand Opening and Ribbon Cutting of their newest Charleston area store on July 28th. The new store is located at 2160 N. Main St., Summerville and is the company’s 9th store in the market. The neighborhood convenience store welcomed area-shoppers to enjoy in-store samplings, special deals, and activities to celebrate the occasion. This store, much like Spinx’s other new builds in Charleston, is a large format store and features a large fountain and slushy area, made-to-order smoothies, and of course, Spinx’s legendary fried chicken. Several elected officials, including Summerville’s Mayor, Wiley Johnson were present for the cutting of the ribbon. District 92 Representative Joe Daning also was in attendance for the event. The store layout features an indoor and outdoor dining area, extensive food and beverage selections, and much more. These improvements are consistent with Spinx’s goal of being the trusted destination for fresh, delicious food, refreshing beverages and fast, friendly customer service. Grand Opening specials will run through the end of the month, with special days designated for in-store sampling events as well as $1.00 off gas promotions.